Rinkinukas populiariųjų naršyklių „Mozilla Firefox“ gerbėjams. 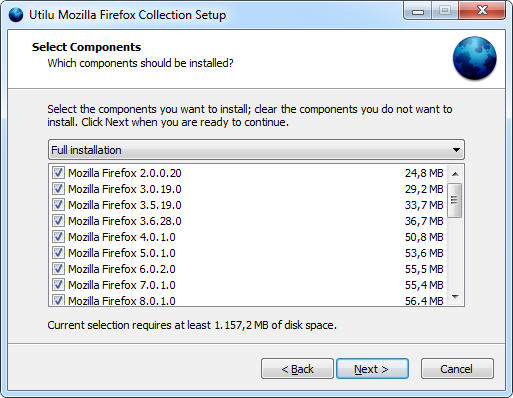 Utilu Mozilla Firefox Collection is a utility that contains multiple versions of the free web browser Mozilla Firefox, which are standalone so they can be used at the same time. In Utilu Mozilla Firefox Collection you can quickly see how your websites look when rendered using different versions of the Gecko render engine.